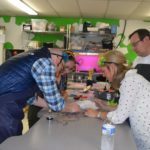 HomeAn Evening in the Makerspace! 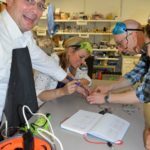 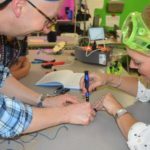 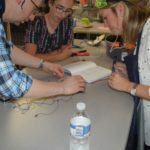 An Evening in the Makerspace! 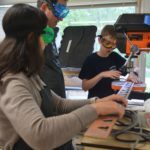 It’s not every day that parents have theopportunity to work in a makerspace and participate in a project using all of the latest equipment. 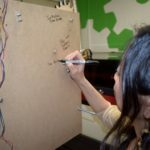 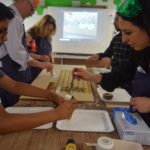 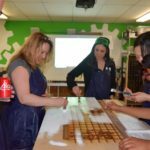 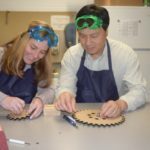 Last week, Sage Leadership Society members and all donors who gave during the “Raise the Paddle” portion at the 2017 Annual Fund Gala and Auction were treated to a fun night of “making” in the Sage Makerspace. 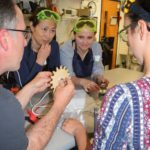 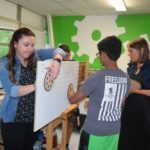 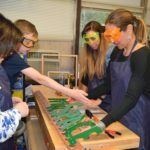 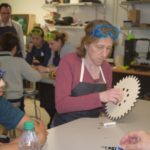 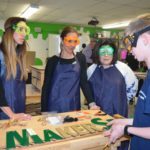 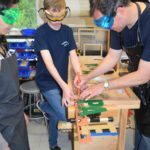 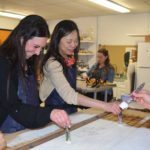 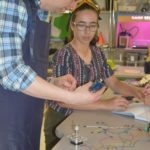 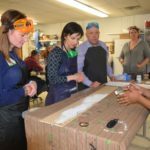 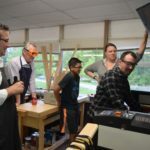 The special funds raised in 2017 were used to purchase equipment for digital creation, woodworking, laser cutting, 3-D printing, design, and much more. 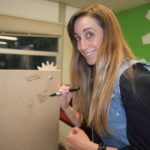 During the 2017-2018 school year, students and teachers in Kindergarten through Grade 8 utilized this space for lessons and workshops, but this is the first event designed solely for parents. 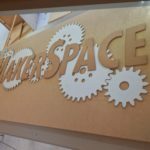 With guidance from some of our Middle School students, parents constructed and painted the new Makerspace sign (complete with working gears!). 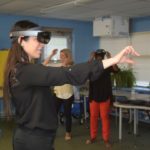 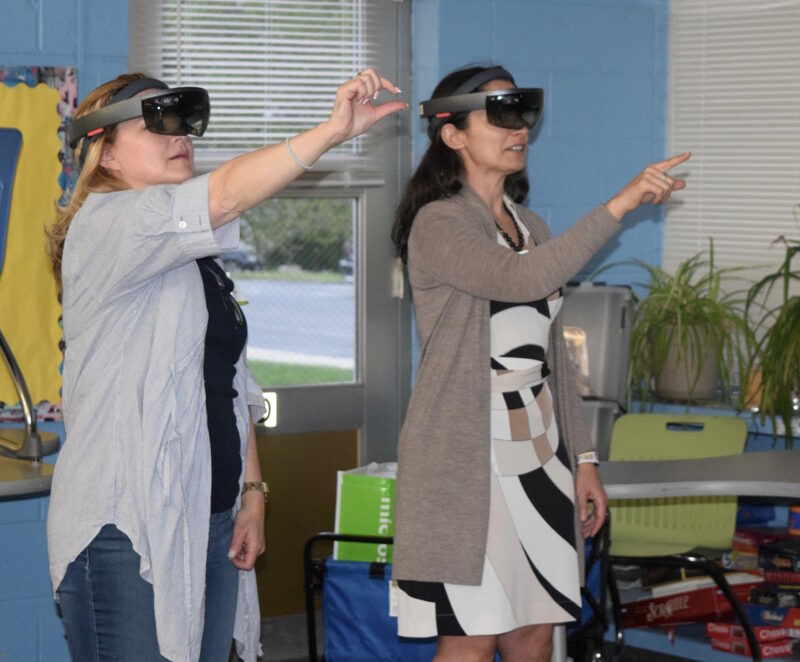 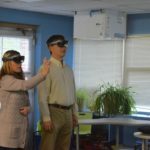 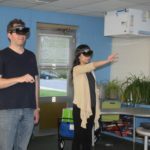 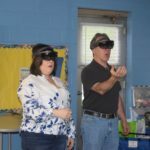 They also had the chance to experience the new virtual reality goggles that will soon be coming to Sage. 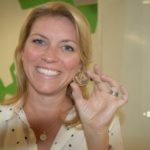 The Sage Leadership Society consists of those individuals, families, and organizations who have contributed to our top tier giving categories in the past campaign year. 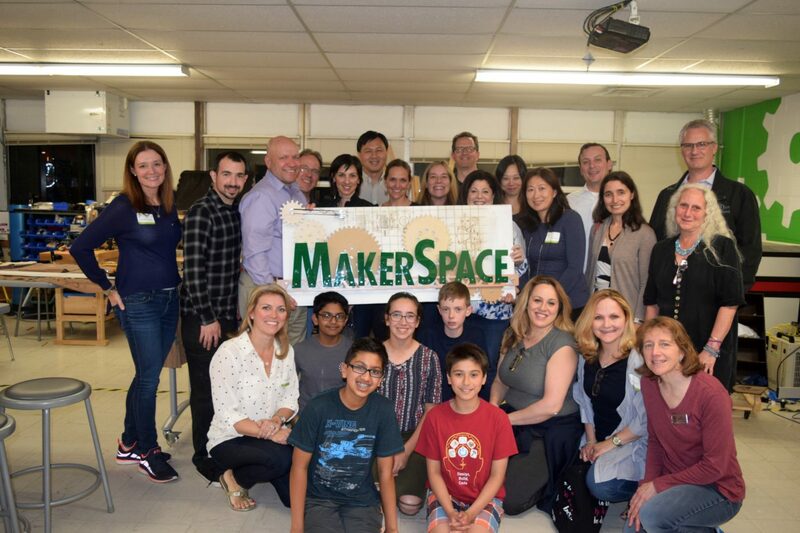 After the Sage Leadership Society finished painting and assembling the gears, they proudly posed with the new sign that is now displayed in the Sage Makerspace.